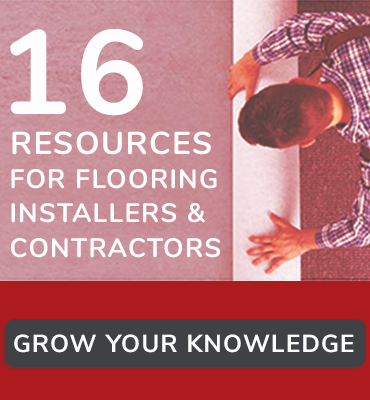 Floor Install News is where you will find the latest industry happenings that directly impact the installation, contractor and floor covering communities. 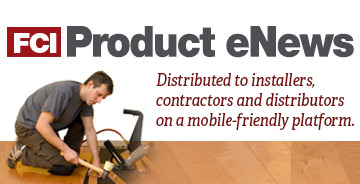 Web-exclusive content focusing on the installation/contractor/retailer/distributor community. The Products section offers a roundup of the newest underlayments, adhesives, tools and other products that help installers and contractors get the job done. The latest advice and insights from our respected experts in the installer, contractor, retailer and distributor fields. Tools and tips for installing residential flooring products. Step-by-step instructions for installing a wide range of flooring materials. Moisture Problems and Solutions covers best practices for moisture detection and control for flooring contractors and installers. The latest moisture mitigation products and tools, such as moisture meters for concrete and wood, are featured, along with to how-tos and case studies. The latest on flooring adhesives for installing bamboo and cork flooring, carpet, carpet tile, floating floors, hardwood flooring, laminate flooring and resilient floors as well as sustainable installation products. The latest on products for installing ceramic tile, mosaics and glass tiles, natural stone, large-format tiles and thin tiles. Information on subfloor preparation products including self-leveling underlayments, patches, primers, as well as crack isolation membranes, uncoupling membranes and products for moisture mitigation. The “en español” section showcases all of the Spanish language content from our FCI Product eNews, offering the latest products and services for flooring installation to a Spanish-speaking audience.